Who Doesn’t Love Soup? Especially Ours. 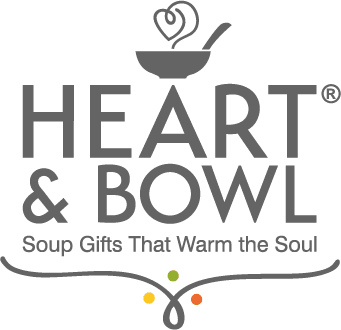 Heart & Bowl gift baskets feature gourmet, all natural soups that are handcrafted in small batches using traditions and techniques mastered in kitchen stockpots over decades. Our soups are made the delicious way, building flavor layer by layer and adding each ingredient at the perfect time to ensure they are unforgettable. We start with recipes and special family secrets that have been handed down for generations to create delicious, signature flavors. Cutting corners cuts flavor, so we only use the highest quality ingredients that come from as close to the natural source as possible and never any artificial ingredients or preservatives. We also recognize that some people have dietary restrictions or preferences and offer a delicious soup gift option for every person on your gift list. Our Home-style Chicken Noodle begins with handcrafted chicken stock and a pinch of pepper and sea salt. Then we add garden fresh vegetables – sweet carrots, celery, onions, tender chicken breast meat complimented with a secret herb blend and a touch of something special before we finish it with a healthy serving of curly egg noodles. This classic favorite tastes just like it’s been simmering for hours in your grandmother’s kitchen. White Cannellini beans are prized throughout Tuscany and are the special ingredient in our Hearty Tuscan Vegetable Soup which is why we only use raw beans that are soaked overnight to ensure the best possible flavor and texture. Then we begin with a vibrant and rich tasting vegetable stock and a garden medley of carrots, celery, onions, vine-ripened tomatoes, sweet corn, kidney beans, chopped baby kale and a secret blend of herbs and spices. A touch of extra virgin olive oil and a pinch of sea salt provide the perfect finish. High in fiber and antioxidants.